It’s a mixture of few spices as well as mint. I love it because it does not overpower the other ingredients of your dish, yet it gives it a beautiful aroma and taste. As usual, don’t forget to put on some Moroccan music to enjoy your cooking! 1- Dice the onion and garlic. 2- Add the onion and garlic to a large mixing bowl, together with spices, herbs and minced meat. 3- Mix well with your hand, then form into small meatballs and set aside. (It’s OK if they’re not the same size!). 4- Heat oil in a large frying pan. Add the meatballs, and fry until browned on all sides, then set them aside. 5- To make the sauce, add chopped onion and garlic to to the same pan. Fry for a few minutes, then add the spices. Continue stirring with a wooden spoon for a minute, or until aromatic. 6- Add the two cans of chopped tomatoes and let simmer for 10 minutes. 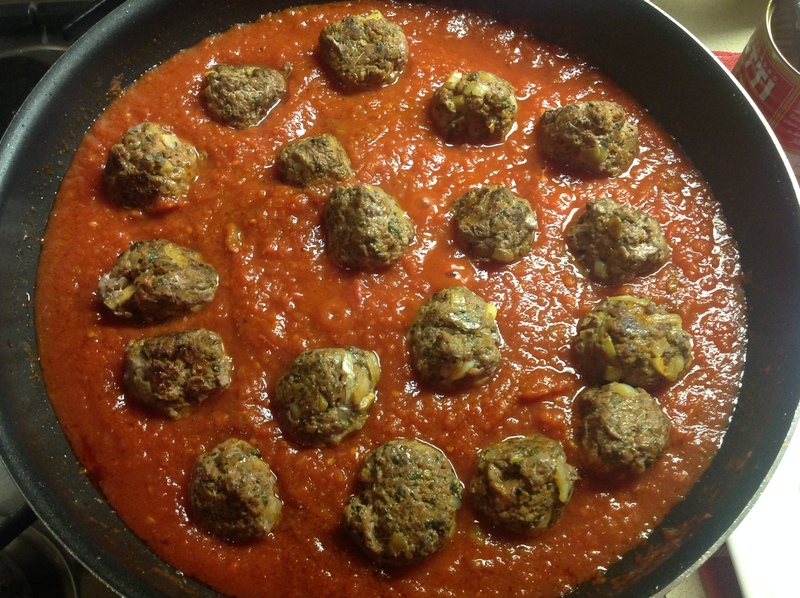 7- Add the meatballs and simmer for 3-4 minutes. 8- Add the chopped fresh coriander and stir. 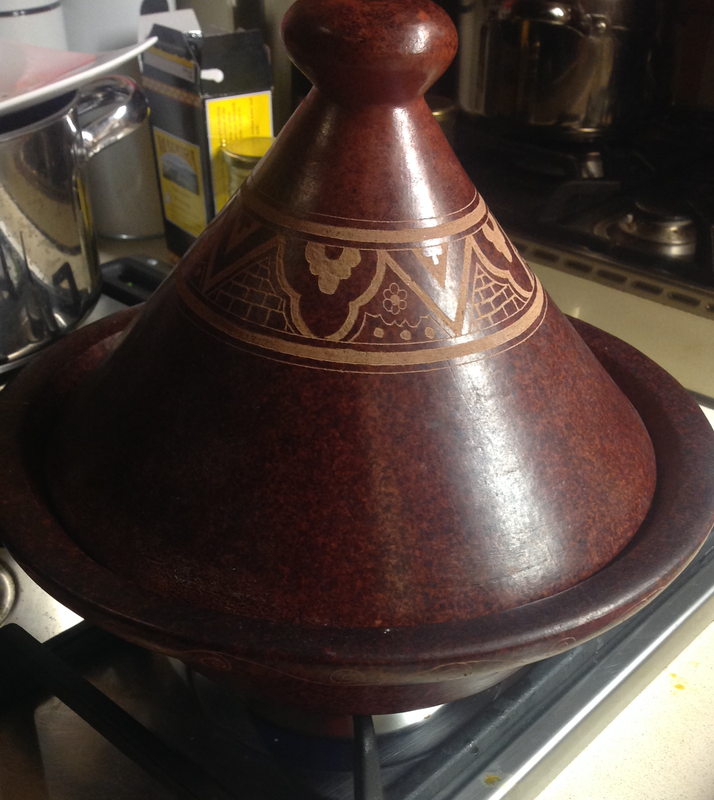 9- At this stage, if you want to serve it in a tagine pot, transfer the mixture to it. If not, skip this step. 10- Break the eggs on top of the meatballs, and let cook until the eggs are set. 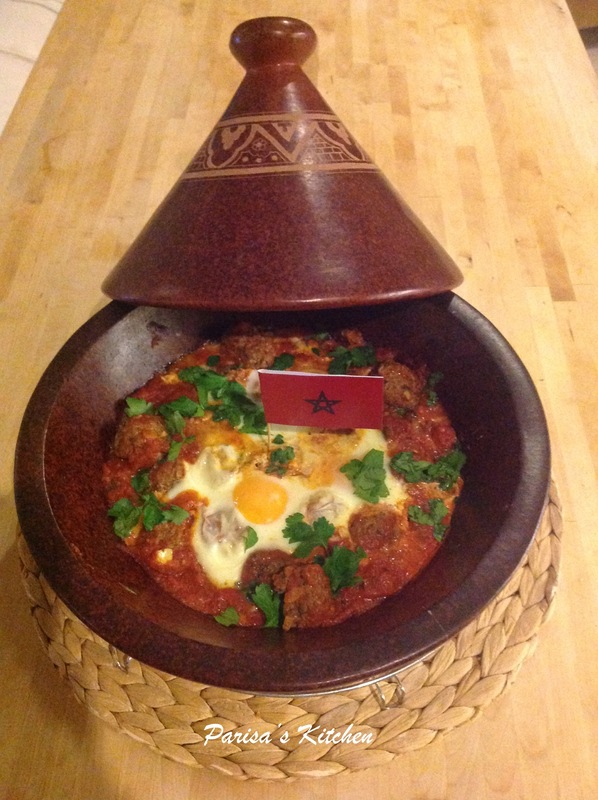 Posted in Moroccan, TagineTagged healthy, meatball, moroccan, recipe, tagineBookmark the permalink. You have to taste it to feel how delicious this dish is. The keftas have really different taste than only a minced ball. I suggest to everybody to try it to feel the difference. Well done Parisa.